New York (May 4, 2018) – Qube Cinema announced its partnership with the 18th New York Indian Film Festival (NYIFF), New York’s largest and longest-running diaspora film festival, which is scheduled to take place from May 7 -12. Qube Wire is the distribution partner for the festival and filmmakers will increasingly rely on Qube Wire for secure and reliable movie content delivery to the festival. The Qube Wire service is now available across 114 countries for delivery of movie content. The territories where Qube Wire content delivery services are now available include major regions of the world in both developing and mature markets, from Southeast Asia to Africa to Europe and the Americas. Qube Wire helps eliminate the outdated process of physical Digital Cinema Package (DCP) transportation for the NYIFF. It will manage the DCPs and Key Delivery Messages (KDMs) of all film screenings during the 18th edition of the prestigious international film festival. The dedicated festival module in Qube Wire eliminates the risk of drive failures and corrupted content associated with physical delivery and storage. The Qube Wire cloud platform will act as a central hub for all content, transforming the distribution process and ensuring that KDMs are always targeted to the correct screen devices. Four world premieres, two international premieres, six North American premieres, one U.S. premiere and 11 New York premieres from four South Asian countries (India, Pakistan, Bangladesh and Sri Lanka), as well as North America and the United Kingdom, will be unveiled at the 18th annual NYIFF, which will take place at the Village East Cinemas in the Lower East Side of Manhattan. The entire festival schedule comprises 78 films in 11 different languages (English, Hindi, Marathi, Malayalam, Tamil, Telugu, Kannada, Tulu, Konkani, Bengali & Assamese). “Qube Cinema has been a very valuable and helpful partner to the 18th edition of NYIFF. 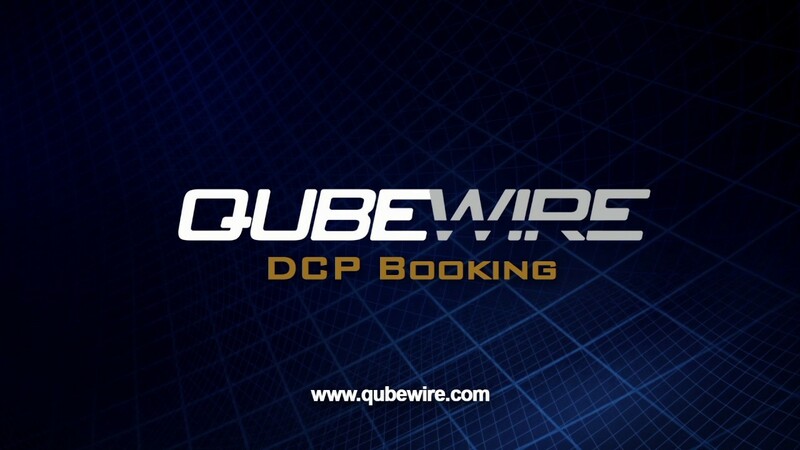 We are learning a whole new technology in cinema distribution with Qube Wire. We are confident that filmmakers will enjoy a new hassle free and seamless cinema distribution experience that Qube Wire enables,” commented Aroon Shivdasani, Executive & Artistic Director, Indo-American Arts Council. “NYIFF choosing to partner with Qube Cinema is a matter of great pride for us. Qube Wire is a great solution for film festivals that totally eliminates the pain of managing the content and keys for a large number of movies. Film festivals can take advantage of Qube Wire to eliminate their logistical nightmares,” explained Mark Waterston, Vice President, Operations of Qube Cinema. Qube Wire has been the distribution partner of many prestigious international film festivals across the world. The prominent film festivals include the Indian Film Festival of Los Angeles, MAMI film festival, Mumbai and International Film Festival of India (IFFI), Goa. The Qube Wire platform has also been used by a number of distributors since its test launch with the blockbuster Baahubali 2: The Conclusion. The New York Indian Film Festival (NYIFF) is the oldest, most prestigious film festival screening premieres of feature, documentary and short films made from, of, and about the Indian subcontinent in the Independent, arthouse, alternate and diaspora genres. Seven days of screenings, post-screening discussions, industry panels, award ceremony, special events, nightly networking parties, red carpet galas, media attention and packed audiences build an awareness of Indian cinema, entertain & educate North Americans about the real India, and add to the amazing cultural diversity of New York City. The Indo-American Arts Council is a registered 501(c)3 not-for-profit, secular service and resource arts organization charged with the mission of promoting and building the awareness, creation, production, exhibition, publication and performance of Indian and cross-cultural art forms in North America. The IAAC supports all artistic disciplines in the classical, fusion, folk and innovative forms influenced by the arts of India. IIAC work cooperatively with colleagues around the United States to broaden their collective audiences and to create a network for shared information, resources and funding. Their focus is to work with artists and arts organizations in North America as well as to facilitate artists and arts organizations from India to exhibit, perform and produce their works here.